Islamic innovation can be found everywhere. Quite simply, were it not the inventions and ideas of Muslims and other individuals of Islamic faith/background, your daily life would be decidedly different from what it features today. A game changer is naturally defined as someone who quite literally changed the game. The game can be almost anything. In a broad sense, the term can be used to refer to civilization as a whole. 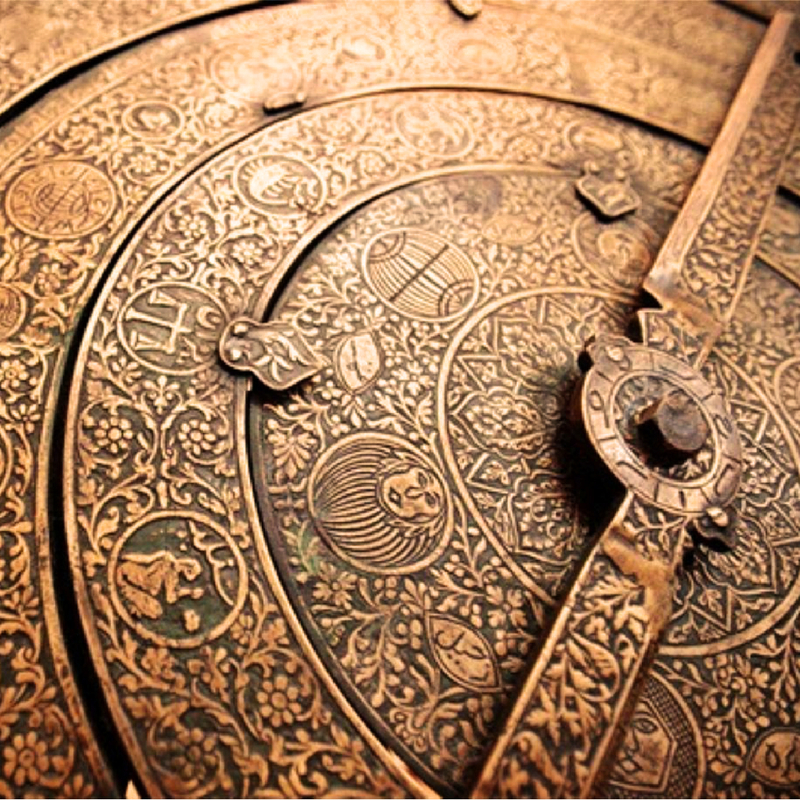 Countless individuals of Islamic background have fostered innovation through the years. Al-Khwarizmi: The technological/engineering accomplishments of the United States, Europe, Africa, and other continents are significant. Without algebra, it’s difficult to imagine very much would have been accomplished at all. To that end, you can thank Al-Khwarizmi. That is the man who is responsible for inventing modern algebra. Consider the long list of things we enjoy that owe one thing or another to algebra. You’re talking about a pretty long list. Abu al-Hasan: Do you wear glasses? How about contact lenses? If you are using either of these items, or if you have ever used a magnifying glass, then you owe a debt of gratitude to Abu al-Hasan. His discoveries regarding to the human eyes led to the invention of magnifying glasses that would later prove crucial in the invention of eyeglasses. Abu al-Kasim: This tenth century scholar wrote about such topics as the importance of a positive relationship between doctor and patient, the importance of comprehensive medical care for individuals from all walks of life, and much more. Furthermore, he was the first individual to ever explain an ectopic pregnancy. He also created treatment options for the urethra, the ears, and the esophagus. Amjad Farooq Alvi and Basit Farooq Alvi: As dubious an honor as it might be to invent the first PC computer virus, there’s no question that this invention was a game changer for the world of personal computers. Abbas ibn Firnas: While many different individuals contribute to the invention of aviation, it is believed that Abbas ibn Firnas was the first to make a significant breakthrough with developing something that could conceivably work. During the Vedic times in ancient India, there were revelations about the solar system that got proven more than fifteen hundred years later. There are ancient scriptures that talked about surgery at a time when Europe or even Egypt did not have any exposure to complicated medical procedures. Religion and science have more often than frequent been at loggerheads. But history has proven time and again that religion has often imposed beliefs, some of what have been proven by science. Islam is often criticized today because of the heinous misuse of its tenets across Middle East but there was a time when Islamic science was innovative and made steadfast progress, something that the Church did not support in Europe. 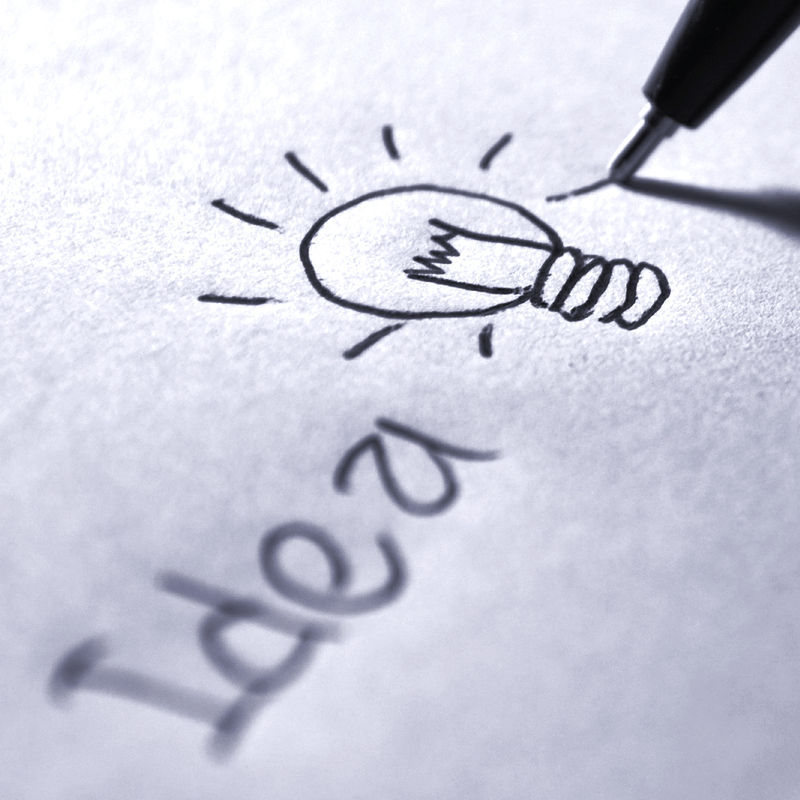 Here are five things that you did not know about Islamic innovation. There was an Arab scholar by the name of Al Khwarizmi who invented algebra. He can be called the father of modern algebra which is the basis of algorithms running search engines and the foundation of engineering. Algebra did not come to Europe till the twelfth century and the Arabs had already mastered the same by then. Very few religions in the world focus as much on personal hygiene and cleanliness as Islam. It was the tenets of Quran that lead to the first experiments with what we call toothbrush today. The earliest toothbrush was made of twigs. It is believed that the first toothbrush predates the propagation of Islam and that Prophet Mohammed used to brush his teeth with such twigs, which were called miswak. Did you know that the guitar is not a European or American innovation? It originated in Arab and it is as old as the Middle Ages. The instrument was originally an oud, a kind of lute that had a bent neck. This instrument made its way from Andalusia to Spain where it came to be known as qitara. Later, the modern guitar was developed from this design. The Arabs of the Middle Ages were developing their mathematical skills and understood time, explained human vision and started making progress in astronomy. It was during this time that they came up with the magnifying glass. One Abu al Hasan, also known as Alhazen, explained how human vision works and that paved the way for glasses for corrective purposes. While Islamic innovation did not lead to surgery, it did lead to the invention of forceps and syringes among others. The invention of syringe and forceps is credited to Albucasis, also known as Abu al-Kasim. Converting barriers into life changing opportunities. What do coffee; chemistry, algorithms, drug testing and the airplane have in common? They all owe their existence to Islamic scientists! Under the Abbasid caliphate (750-1258), the Islamic capital of Baghdad was the center of the scholarly world. Located at a geographical crossroads, its schools drew students from as far away as Greece and China. Competing Islamic centers of study sprang up as well in Spain, Egypt, and, later, Turkey. The results of this outpouring of Islamic scientific research were a spate of innovations, which became the foundations of the sciences we know today. The modern word “chemistry,” for example, comes from the Arabic word kimiya, and Muslim chemists are credited with pioneering fundamental processes of modern chemical research, such as sublimation, crystallization, and distillation. One of them, eight-century chemist Jabir Ibn Hayyan, literally wrote the textbook: he left behind texts that became the basis for studying chemistry for the next 500 years. A pioneer of Muslim physiology, Persian physician Zakariya Al-Razi wrote the first manual of home medicine and was among the first physicians to write down psychological factors in his patients’ health. Ibn Sina wrote a 14-volume encyclopedia that remained the central text at many medical schools until the 17th century. His directions for testing new drugs are very similar to the process still used today, more than a thousand years later. Islamic scholars were also pioneers in engineering and design, creating soaring buildings that still amazes viewers today. Ottoman architect Sinan, for example, created light-filled domes—the largest in the world at the time—that seemed to float in space. Today, we no longer see Islam as the great engine of scientific innovation that it once was. Religions in general have come to be seen as separate from the practical concerns of daily life, and the traditions at their core can sometimes seem threatened by the pace of scientific change. Islamic science is not dead, however! 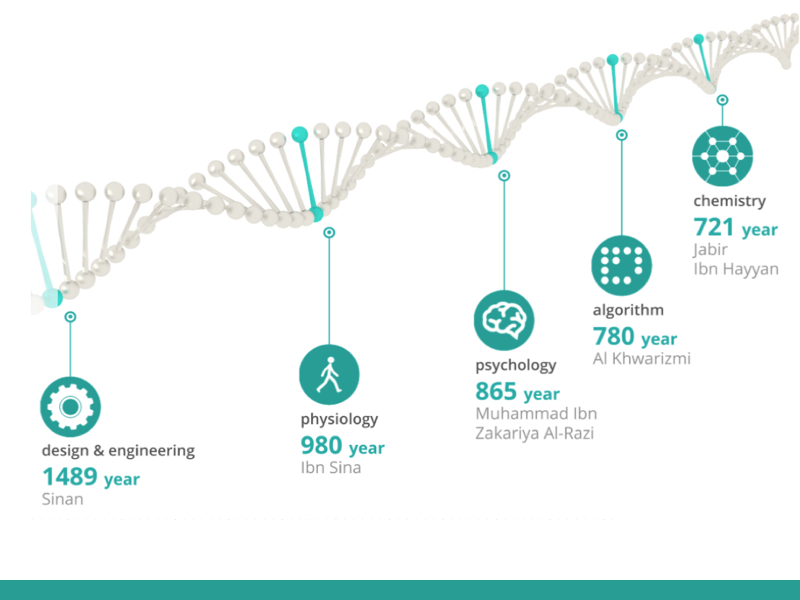 There are many Muslims working in science, medicine and technology today. Did you know that Dr. Oz, to whom so many television viewers turn for medical advice, is a Muslim? And American Muslim Fuad El-Hibri was CEO of the company that developed the anthrax vaccine so widely discussed—and relied upon—during the anthrax scare a few years ago. These are only two among many examples of contemporary Muslim scientists. Going a step further, some Muslims are trying to unite their faith and their research to create a new wave of Islamic science. They hope that their research will become even more powerful and transformative when aligned with their spirituality. There are digital Qurans and smart phone apps that help a user locate the nearest mosque or halal grocer, as well as digital devices that point constantly toward Mecca. One striking example of this new trend is the world’s first physiological prayer mat developed by Canadian company TIMEZ5 and recognized last year at the Global Islamic Economy Summit 2013 as a global innovation. This space age, NASA-inspired technology is aimed at making daily prayer easier. Muslims use prayer mats, also called prayer rugs or prayer carpets, to create a clean and clean space on which to stand, kneel, and prostrate at prayer times. TIMEZ5’s physiological prayer mat uses a 5 layer-system and high performance materials to stabilize motion, support posture, and absorb the weight, even when it’s concentrated at a few points, as when kneeling. The company’s developers say this combination of tradition and innovation, dubbed as the “physio-spiritual experience,” will let users pray with more comfort and with less pain or fatigue. This work is both new and ancient: from the chemistry that went into creating their materials to the algorithms used to calculate the ergonomic effects of standing, kneeling, and prostrate positions, researchers at TIMEZ5 say they were conscious of building on strands of Islamic scientific tradition that go back to their ancestors. Islamic innovation, they say, makes up their company’s DNA. Islam was, from its inception, a powerful engine of scientific innovation. That quality is less in evidence these days, but a new generation of researchers is working to bring it back, joining their faith to space age technology in the hopes of creating a second golden age of Islamic science. The results may lead to a whole new way of looking at both.